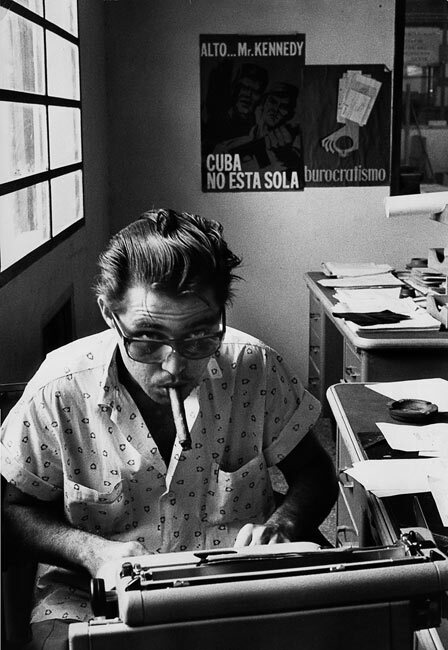 Marc Riboud’s photographs taken in Cuba in 1963 will be exhibited in Havana for the first time! Public opening on April 28th, then the exhibition will be on view untill the end of May. 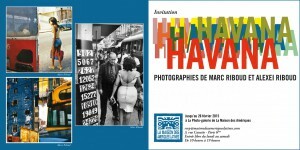 Share the post "Exhibition “Marc Riboud, Cuba 1963” at Fototeca, Habana"
For the first time Marc Riboud’s photographs will be exhibited in Cuba! The Alliance française will host a retrospective of 39 among the photographer’s most famous works and screen the movie “Chines” directed by François Tisseyre. 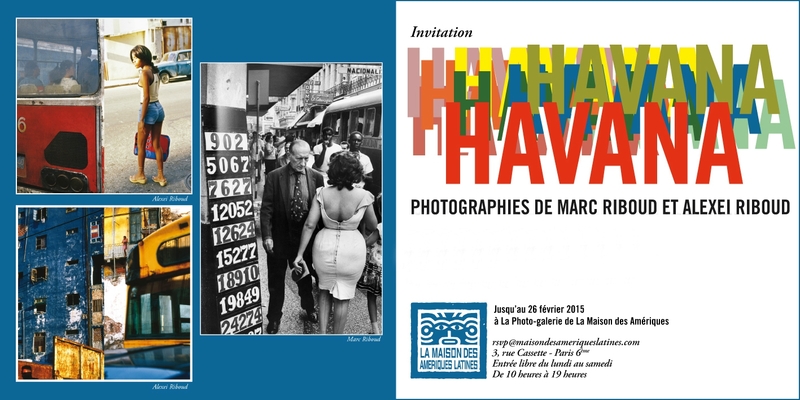 Share the post "Exhibition “Marc Riboud, Retrospectiva” at the Alliance française of Habana, Cuba"
Discover the photographs taken by Marc Riboud in Cuba in 1963, with a selection of vintage prints, modern prints and magazines. This exhibition will relive the great scoop of Jean Daniel and Marc Riboud, gone to visit the island and interview Fidel Castro in 1963. After days of waiting, Castro showed up in their hotel room and talked until and early hour. The next day, Marc Riboud gone back to France, Jean Daniel is having lunch with Castro when the phone rings: Kennedy has been assassinated. 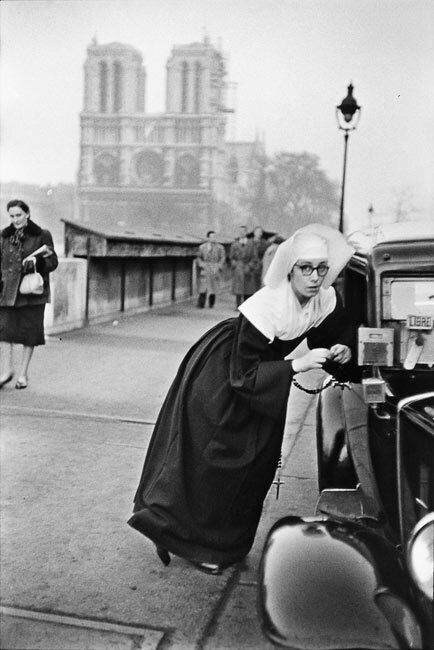 This interview will be THE scoop of young Jean Daniel, and Marc Riboud’s photographs will be published around the world. 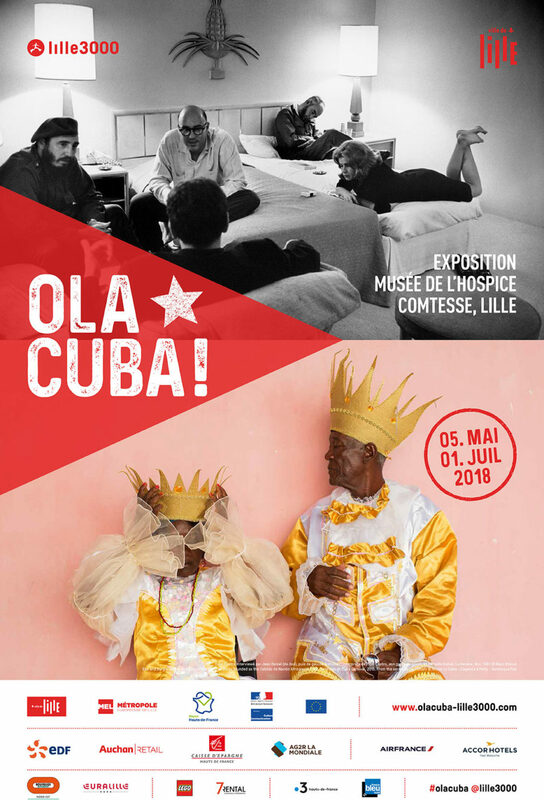 The book CUBA, published in August by La Martinière (in French), with texts by Jean Daniel and Marc Riboud, and a foreword by Wim Wenders, accompanies the exhibition. Exhibition opened from Thursday to Sunday, 2pm to 7pm. Free entrance. Brownstone Foundation, 26 rue Saint-Gilles, 75003 Paris. Share the post "Exhibition “Cuba, 1963” at Brownstone Foundation, Paris"
The international festival international of photojournalism Visa pour l’Image, in Perpignan, exhibits the photographs taken by Marc Riboud in Cuba! 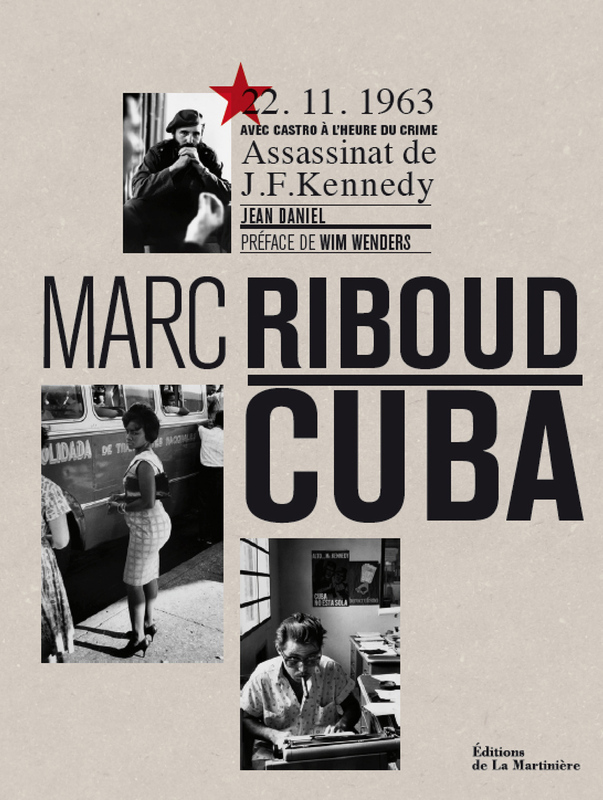 Share the post "Exhibition “Cuba” at Visa pour l’Image, Perpignan"
Today is released Marc Riboud’s new book: CUBA, published by éditions de La Martinière, with texts by Jean Daniel and Marc Riboud, and a foreword by Wim Wenders! This book will relive the great scoop of Jean Daniel and Marc Riboud, gone to visit the island and interview Fidel Castro in 1963. 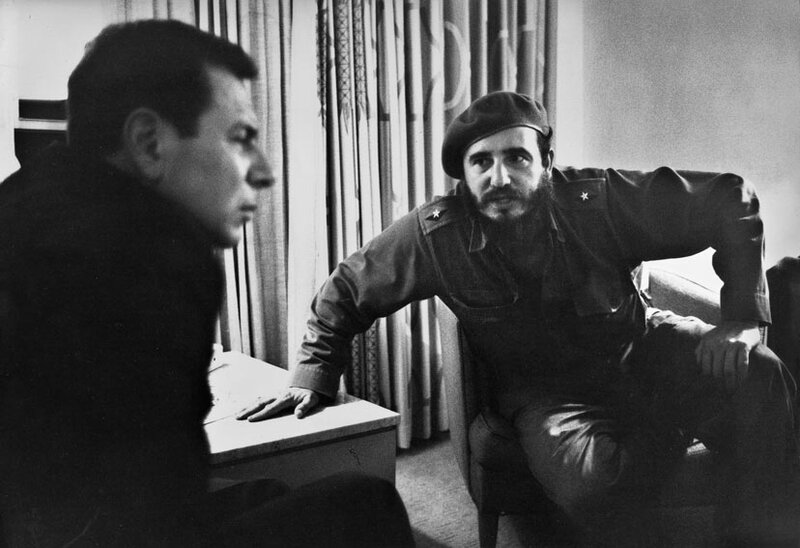 After days of waiting, Castro showed up in their hotel room and talked until an early hour. The next day, Marc Riboud gone back to France, Jean Daniel is having lunch with Castro when the phone rings: Kennedy has been assassinated. This interview will be THE scoop of young Jean Daniel and Marc Riboud’s photographs will be published all around the world. The photographs of Cuba will be exhibited at Visa Pour l’Image in Perpignan from August 27th to September 11th 2016 and in Brownstone Foundation in Paris from October 29th to November 27th 2016. Share the post "New book “CUBA” at éditions de La Martinière"
Discover a selection of 17 photographs taken in Cuba by Marc Riboud in 1963 at Yale University, USA. From 10 am to 6pm. 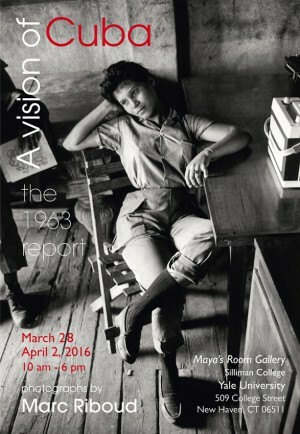 Share the post "Exhibition “A vision of Cuba” at Yale University, USA"